Availability of accurate and up to date data and information on land and different land uses, such as agriculture, forestry, mining, wildlife, water, housing and infrastructure, is critical to effective land governance and crucial for planning and managing the use of land and land-based resources. Public institutions and the government need land data and information for appropriate and timely decision- making; while land users, the general public and other stakeholders need it to effectively monitor and influence those decisions. Land data and information is also critical for effective tracking of land policy implementation processes to inform lesson learning and generate good practices, as well as to ensure sustainable and equitable land investments. It is an often-repeated rhetoric that there is a lack of land data; either there is no data or the data that exists is unreliable or out of date. Collecting new data is a time-consuming and costly process. Data is collected and captured on a massive scale already, but research shows that of all existing data worldwide, less than 1% is actually analyzed and digested.1 With increasing digitization of information, increased use of internet in all parts of the world, and continuously growing demand for more data, the risk is that existing data is either purposely cast aside (as the source may be from outside our trusted networks) or simply overlooked. The current reality of land data is that in many parts of the world, data remains inaccessible, fragmented, poorly managed or simply unusable. Uganda has not been measured in the international Open Data-measurement projects, such as the Open Data Index or Open Data Barometer, nor is the Ugandan government part of the Open Government Partnership. This does not mean that Open Data has not been a topic of discussion within the Ugandan government, however. In response to accusations on corruption and mismanagement of public funds, the Uganda government prompted to open all public, government data. The first draft of the Open Data Policy was released in May 2017 and by 2020, Uganda intends to adopt an “open-by-default” policy, where all data collected and held by publicly-funded institutions will be openly accessible to anyone.2 This Open Data Policy, however, is still in draft version as of 2019, nor is the document accessible through the government websites anymore. This, in combination with recent reports such a social media tax per day, leads to question how high a priority free sharing of data, information and perspectives currently is for the Ugandan government. There are many opinions and articles providing perspectives on this issues. In this State of Land Information Report, we want to investigate whether this has affected the availability of land data and information in the land governance sector. land data collection, as well as how accessible it is on the world wide web. The State of Land Information report concludes with -where necessary- concrete recommendations to data and information providers to improve their data sharing practices, to help establish a functioning, inclusive and democratized ecosystem of data. 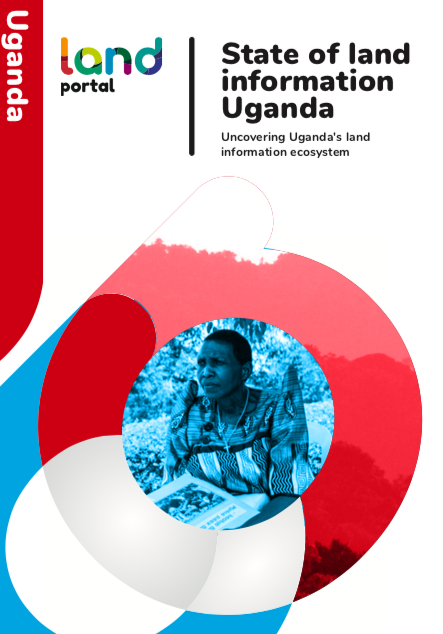 Access the full Matrix now and contribute to the scoping of existing data and information sources in Uganda!